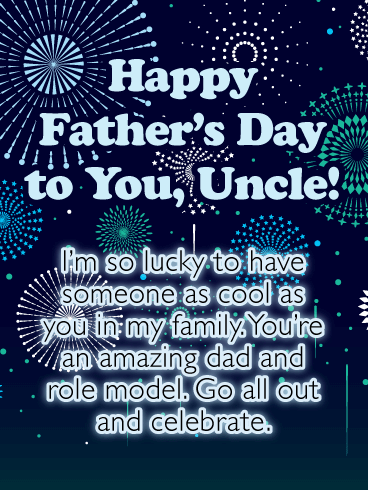 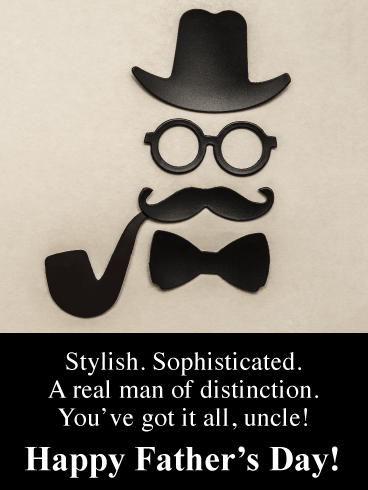 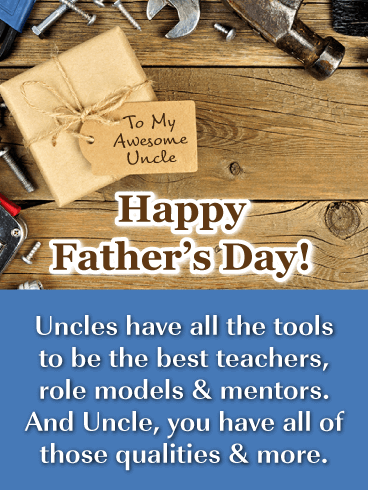 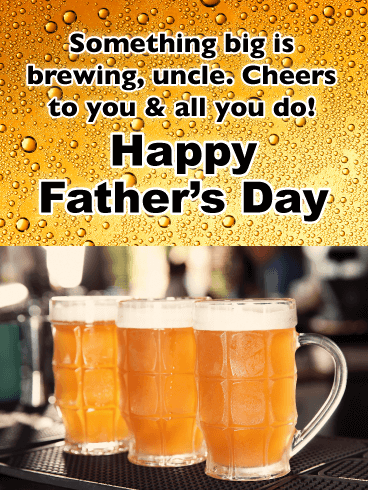 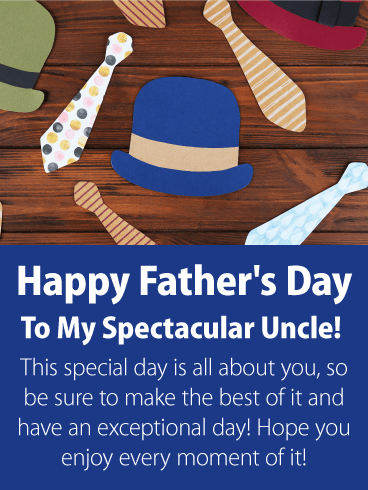 Father’s Day has zoomed in once again, and if you have a special uncle in your life, now’s the time to let him know! 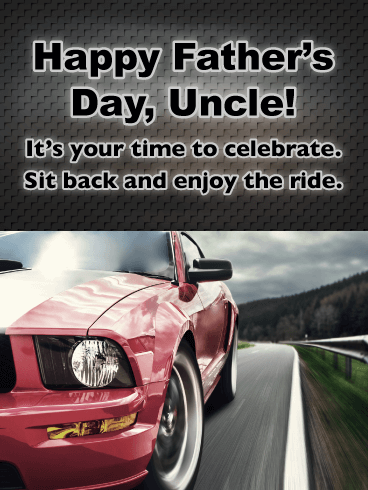 This cool card features a sports car ready to speed away. 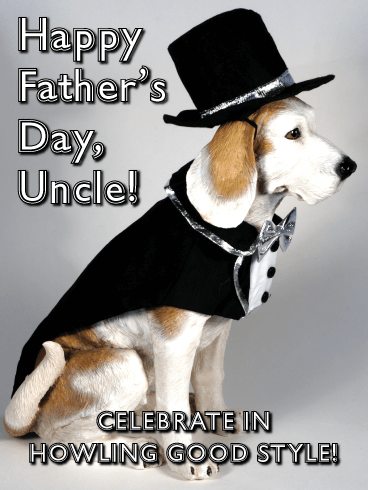 It’s the perfect way to help him celebrate, and a reminder that no matter where the day may take him, all he has to do is sit back and enjoy the ride! 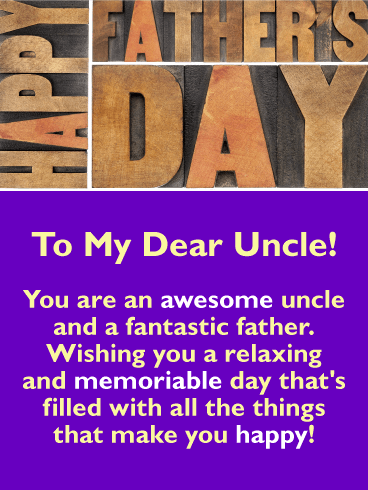 If you could give an award for the best uncle, yours would win hands down! 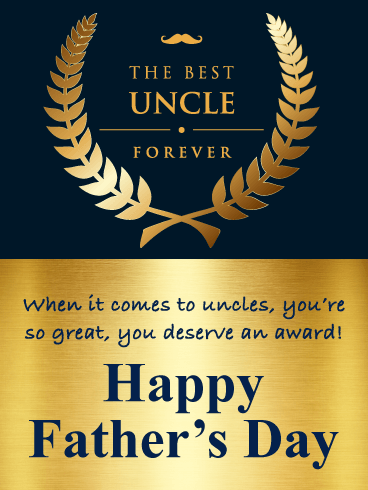 Let him know it this Father’s Day with this spectacular card, featuring a gold leave design and the title of “Best Uncle Forever” along with your touching words below, letting him know how amazing you think he is and that nobody deserves a memorable celebration more than him! 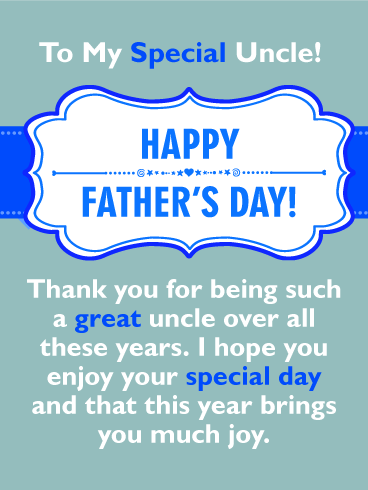 A light blue plaid background on this card sets a cheerful tone for Father’s Day. 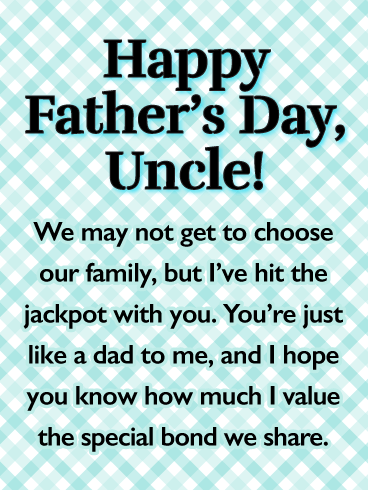 And the words below, for a special uncle, will let him know just how much you value him. 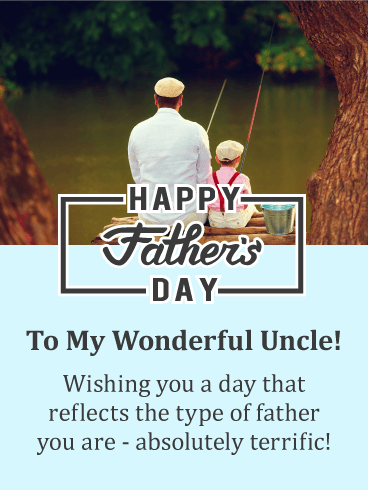 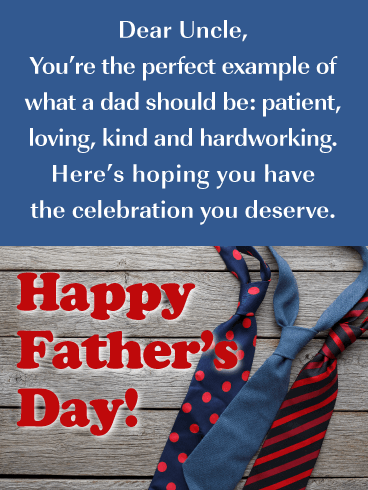 It’s a chance to celebrate all that he does, while reminding him that you may not have been able to choose your family, but you are fortunate that he’s a part of it. 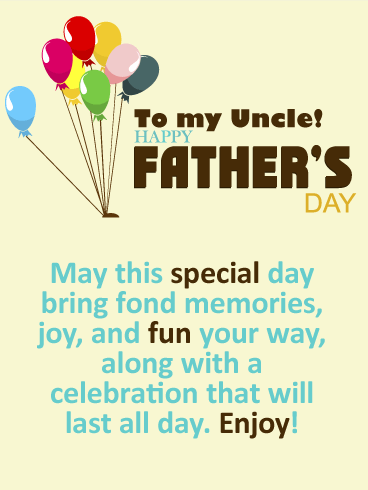 And that strong bond you share is something you’ll always treasure.